South African cricket faces many challenges, but the biggest is the MSL. 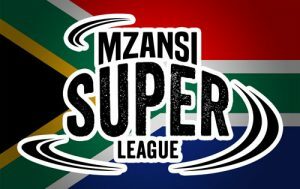 The Mzansi Super League (MSL) that starts at Newlands today with a match between the Cape Town Blitz and Tshwane Spartans is a watershed event for South African cricket due to historical reasons. The MSL faces many challenges and is an important event for the credibility of Cricket South Africa (CSA). The MSL is being launched against the failed backdrop of the T20 Global League which was cancelled last year at the very last moment. There are challenges facing the MSL with the biggest one being the financial success of the event; this was the very reason why the T20 Global League was cancelled. On the surface it looks like CSA is prepared to carry the operational losses to establish the MSL, hoping that they will recover these losses in the future. The prediction is that the loss for the inaugural tournament will be between R100-120 million. The SABC are the broadcasters and they will not be paying for the rights to broadcast the MSL; the reasons for this decision are well documented. It must be a first in the professional era that the television rights are given away. It is common knowledge that television rights revenue pays the bills for tours and tournaments. There is also a concern that the SABC does not have the capacity to produce the feed for all the matches in a congested schedule. They will not be broadcasting back to back matches. The only benefit that the SABC brings is to take the MSL into all corners and homes in the country. However, this is coming at a huge cost to CSA and will be placing the sustainability of the MSL and CSA at risk. It will also be interesting to see how CSA’s relationship with SuperSport will be after this tournament. SuperSport is the only pay channel on the African continent and has played an important role financially and growing the game. CSA has backed a broadcaster that is technically bankrupt and will not play a role in cricket’s future if money is involved. Initially, SuperSport was going to be a partner in this venture. What went wrong that the television rights have been given to a bankrupt SABC for nothing? With regard to sponsorship, nothing has to date been announced. It will be interesting to see when the tournament starts what sponsors, if any, will be on the playing shirts and if the tournament will have a title sponsor. The lack of sponsors could further affect the financial situation and the credibility of the MSL. The MSL will be broadcast to the sub-continent, and more importantly to India. This will create the global visibility that has been lacking for new South African players to be contracted in big T20 tournaments like the Indian Premier League and the Australian Big Bash. The Ram Slam lacked international credibility with the performances not being taken seriously to the detriment of South African players. The MSL needs to establish itself as one of the leading T20 tournaments in the world in the interest of South African cricket and its players. Cricket in South Africa has lost its gloss and the fans have lost their passion. It needs to be reignited. A successful MSL, exciting international season and a memorable Cricket World Cup will hopefully restore the passion for cricket in the country. If the MSL fails and is an embarrassment to CSA, a poor Cricket World Cup could take the game over the edge. South African cricket faces many challenges, but the biggest is the MSL for historical and commercial reasons.